Dr. Bryon Weinberg is a graduate of the University of Hawaii where he attended on a tennis scholarship, and Canadian Memorial Chiropractic College. 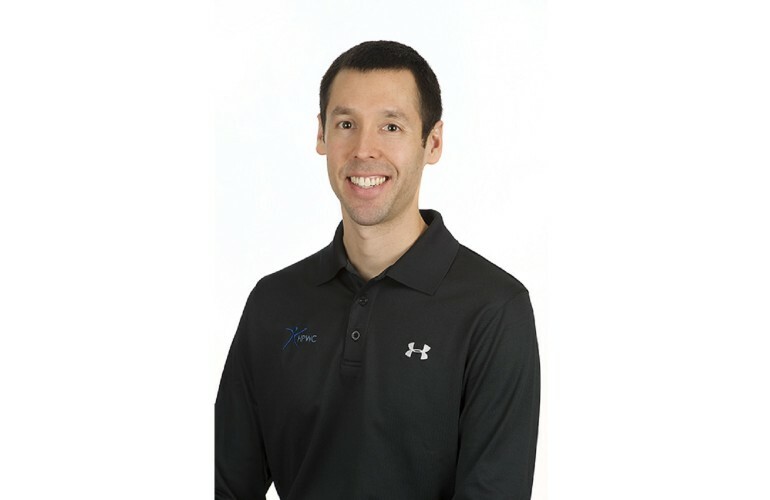 In addition, he is a Certified Strength and Conditioning Specialist and co-founder of Athletic Movement Assessment (AMA). Dr. Weinberg has worked with numerous amateur and professional athletes, including former top 10 world ranked tennis player Maria Kirilenko and North American Boxing Association champion Stephan Boyd. Please check out and by clicking here for more information. To give some reasoning into why we would stretch a particular body part, this article will discuss a motion of the ankle joint that is not talked about too much, ankle dorsiflexion. Have you ever been to a gym, watched someone squat and noticed that they put a plank of wood underneath their heels, or that they are wearing construction boots? Have you ever seen a person squat with their trunk almost parallel to the ground like they are preparing for a downhill ski race? Why do we do all these crazy things? One possible answer is that these individuals lack adequate ankle dorsiflexion and have to compensate or induce it artificially to perform the task. These compensations can predispose them to certain injuries and quite possibly lead to suboptimal performance. Ankle dorsiflexion is the motion that occurs mostly at the ankle mortise joint and can be hindered by fascial adhesions, bony abnormalities, capsular restrictions, and, when considering stretching, “tight” muscles. To simplify the motion that I am talking about, it is the motion of bringing the foot up towards your nose (right foot in picture), or the opposite motion of going up onto your toes. If you do not have the proper range of motion, and then consequently the neuromuscular control of that range, then there are certain exercises, like squats, that you really should not be doing at this time. Attaining a proper amount of ankle dorsiflexion is critical to not only reducing the risk for certain injuries, but also for increasing athletic performance. Whether we are running, lunging, or landing after a serve, there are ground reaction forces that need to be dissipated. One of the first lines of defense for this comes from the athlete’s ability to dorsiflex at their ankle joint. In other words, the force needs to be absorbed. In order to do this, a lengthening of the calve (plantar-flexor) muscle-tendon unit has to occur. Without the tissue compliance of this muscle-tendon unit, more force will go through it and possibly lead to a sprain/strain injury. If the force is not absorbed primarily lower down in the ankle, then where do you think the next place the force will be absorbed? You got it, the joint above or below. Just follow the kinetic chain all the way up through the knee, hip and low back. According to a 2006 research paper published in the Journal of Science and Medicine in Sport, they showed that individuals who had less than 45 degrees of ankle dorsiflexion had a 1.8-2.8 increased risk of knee injury (patellar tendinopathy). Another research paper, published in The American Journal of Sports Medicine, showed that individuals with an ankle dorsiflexion range measuring less than 36.5 degrees might be predisposed to patellar tendinopathy. So, with this loss of range, an increased patellar load is the outcome. If the load is greater than the tissues capacity, then we get tissue failure (injury). What is a common mechanism that puts you at risk of having a less than favorable range in ankle dorsiflexion? Well, have you ever sprained your ankle before? If the answer to this question is yes, than I am sorry to say this may have caused a decrease in your ankle dorsiflexion if it was not treated and rehabbed appropriately. So, how can you find out if you fit into this “lack of ankle dorsiflexion” group? The most simple answer, measure your ankle dorsiflexion range of motion in a weight bearing position. How can you increase your ankle dorsiflexion range if you lack adequate motion? It has been shown that you can improve this range with calf stretching (see your fitness coach or health care practitioner for proper technique). Another way to improve range that is starting to come out into the literature is through eccentric exercises. Or visit your health care professional (e.g. Chiropractor, Physiotherapist, etc.) where they can assess you for ankle dorsiflexion range of motion, and if indicated, they can use joint mobilization and soft tissue techniques, such as Active Release Techniques (ART) to increase that range of motion for you. It’s the attention to fine details that make a champion and when adding up all those little details, big things will happen. By attaining adequate ankle dorsiflexion, the athlete’s biomechanics will improve. This is a fine detail that should not be overlooked. Nove urice Mini watch v naši www trgovini Time In Trend. Poglej si modno kolekcijo zdaj. your page and they will pass copyscape test and google will see them as unique? Mario Gaspar who swivelled and turned in mid-air to attach with the ball. Appreciating the time and effort you put into your site and in depth information you present. It’s awesome to come across a blog every once in a while that isn’t the same out of date rehashed material. Excellent read! I’ve bookmarked your site and I’m adding your RSS feeds to my Google account.